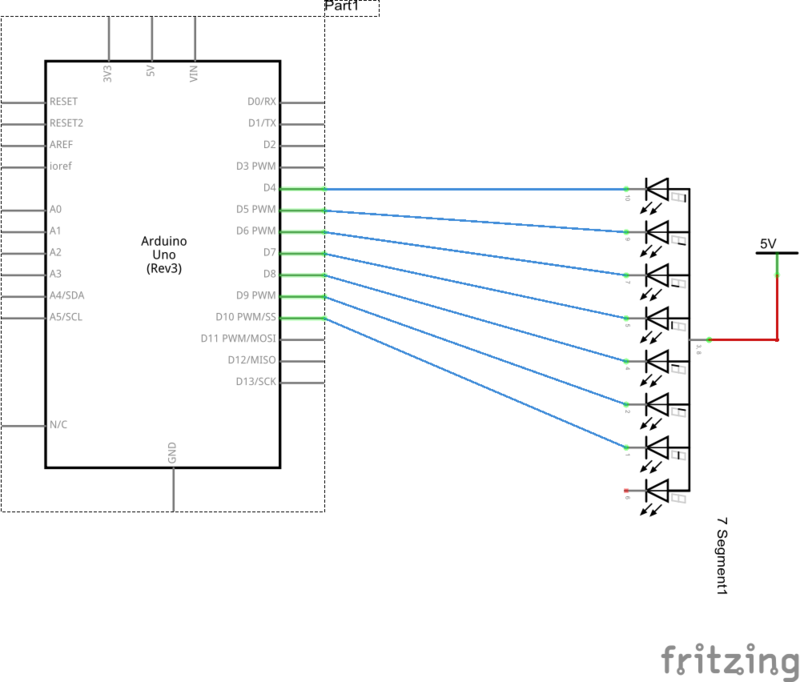 In this example we will connect a 7 segment display to an Arduino. There are 2 types of 7 segment displays, a common anode type and a common cathode type. This example used the common anode type, you can still use a common cathode type but the values will be different in the code.